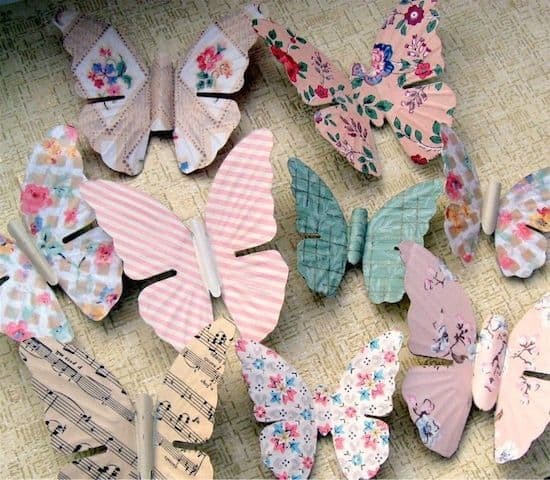 Turn plastic eggs into confetti Easter eggs with some Mod Podge and sparkle. 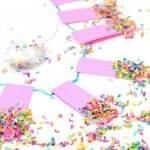 This fun Easter craft is blingy and makes great decor! Hello! 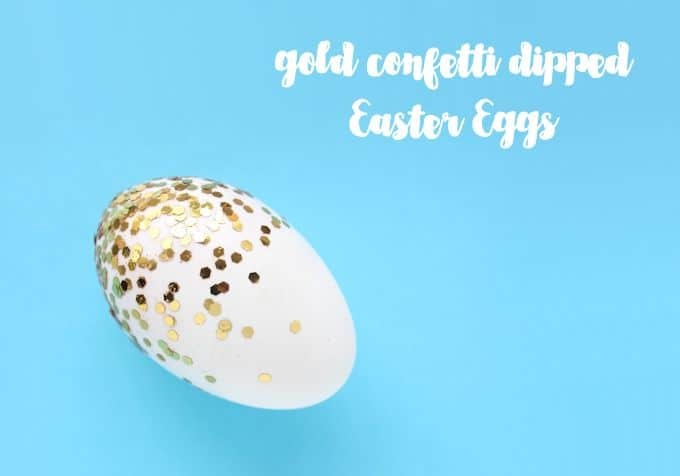 It's Rachel from Lines Across here today to share fun and glittery confetti Easter eggs with you. 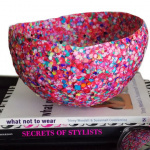 A few months ago I used Dishwasher Safe Mod Podge and jumbo gold glitter to make this confetti dipped mug. I love how it turned out so much, and since then I've been dying to make more things with the same look. This time of year, DIY Easter eggs are on everyone's mind! I used plaster Easter eggs from the craft store so that I could reuse them, but if you wanted to, you could easily follow this same general tutorial with any kind of eggs. 1. Set your egg bottom side up in some kind of a container. 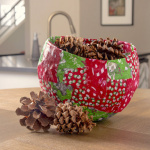 I used dixie cups, but you could also use an egg carton or something similar. 2. 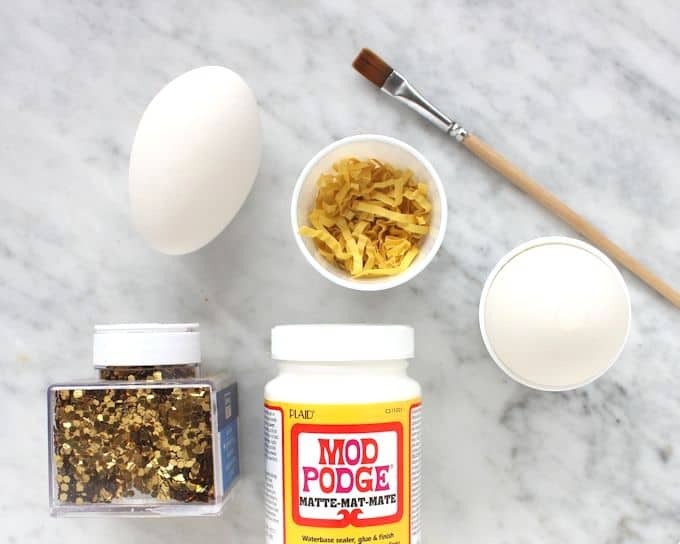 Start by applying a pretty thick coat of Mod Podge across the bottom of your egg. 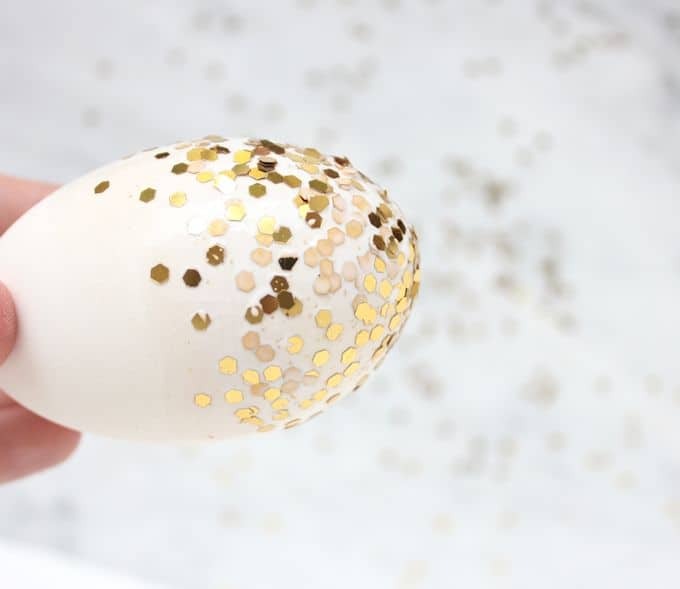 To get the “dipped” look, you want more glitter on the bottom of the egg, and then gradually less as you go to the top. 3. 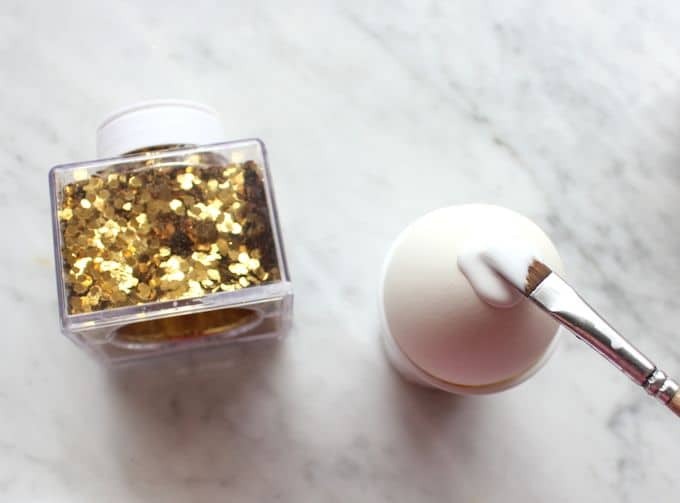 Pour jumbo glitter across the bottom of the egg. I tried to cover the whole bottom area, but I didn't want the glitter to be sticking out or covered in too many layers. 4. 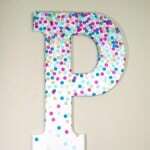 Keep adding Mod Podge along the edges of the egg, and then adding little pieces of glitter as you go. 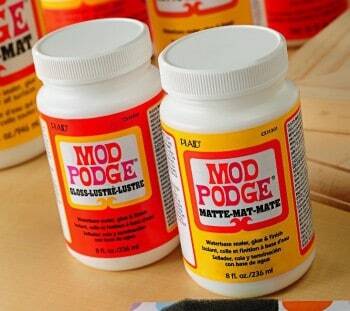 If you want to make sure that the glitter won't shed, cover the confetti in a top coat of Mod Podge as well. 5. Let your confetti Easter eggs dry and enjoy. 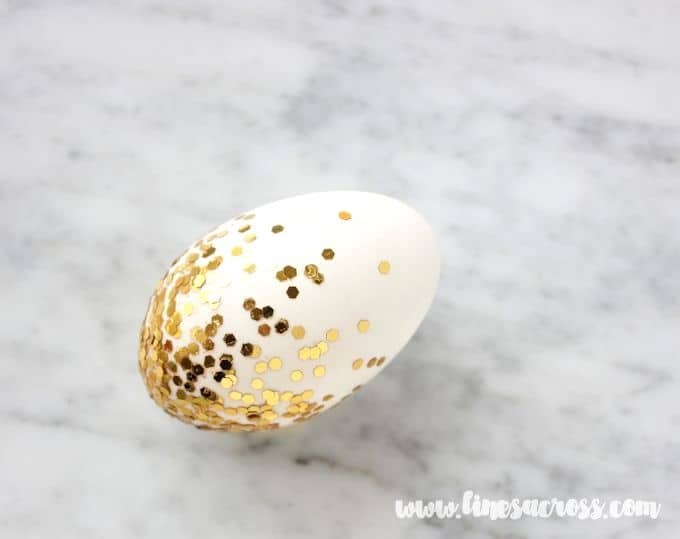 You may want to cover the top part of the egg with Mod Podge as well, even though there isn't any glitter there to keep the texture of the egg looking consistent. Be sure to stop by Lines Across and say hi, or follow along with my on Facebook, Twitter, Pinterest, and Instagram. Very well! 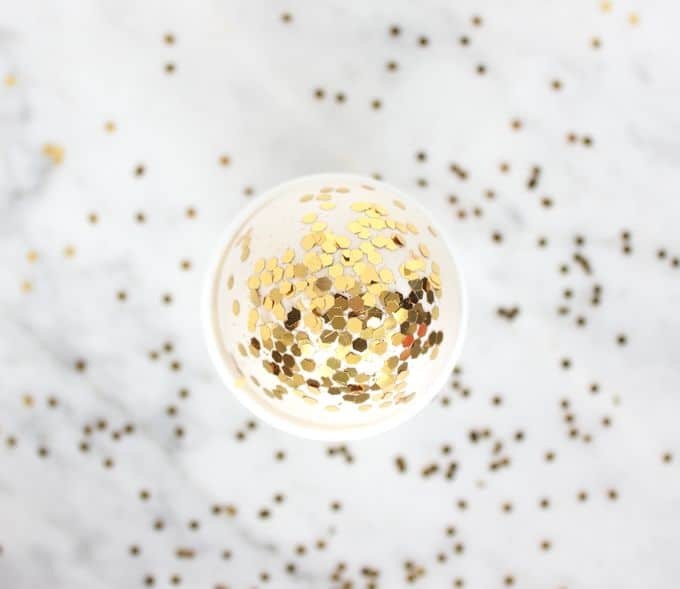 I saw a mug at Plaid designed with this golden confetti & that was also awesome!